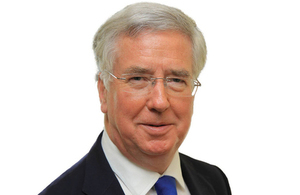 Michael Fallon welcomes Japanese announcement on collective self-defence. Following the recent decision by the Japanese government to adopt a right of collective self-defence, Defence Secretary Michael Fallon says he looks forward to the more active role Japan will play in supporting international peace and security. The proposed reforms would allow Japan to make a greater contribution to international peace and security, including through the UN Charter right to collective self-defence. We welcome this. The personnel of the Japanese Self-Defence Forces are among the most professional in the world. They have a strong track record of commitment to peacekeeping and disaster relief operations, often performed in challenging circumstances, and will be able now to contribute even more in these areas. These reforms are a natural progression in Japan’s efforts to take on more responsibility for maintaining international peace and security, and for helping to ensure the global commons remain open and accessible. Co-operation between the UK Ministry of Defence and armed forces and the Japanese Self-Defence Forces is good and continues to strengthen. We look forward to co-operating in a wider range of areas in the future, and to Japan’s participation at the upcoming NATO Summit as a valued partner of the alliance. As these reforms progress, it is important that Japan communicates these changes clearly to its neighbours to avoid misunderstandings.